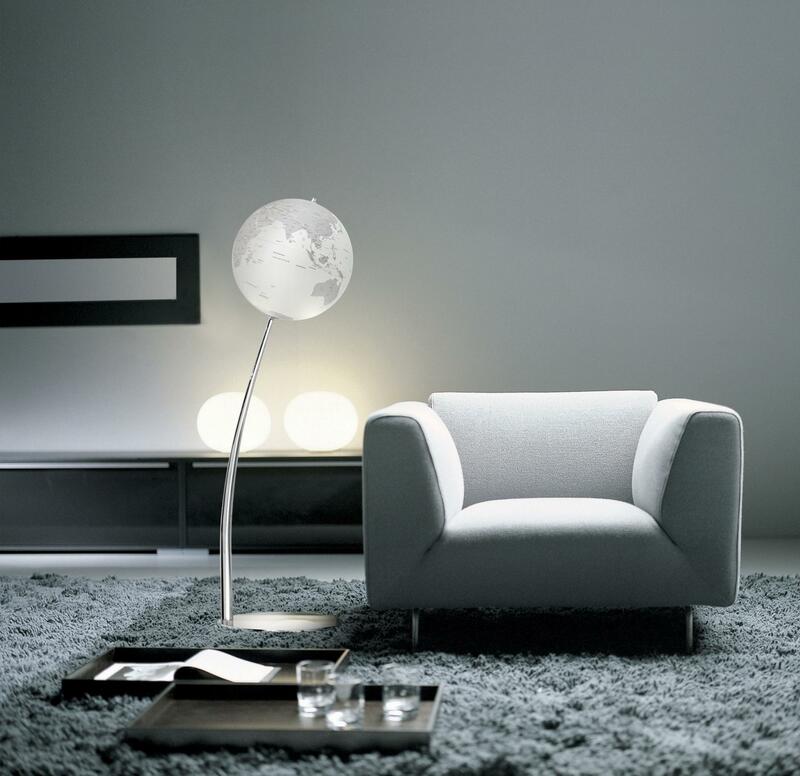 This dressed up sputnik-style floor lamp stands beautifully to impress. 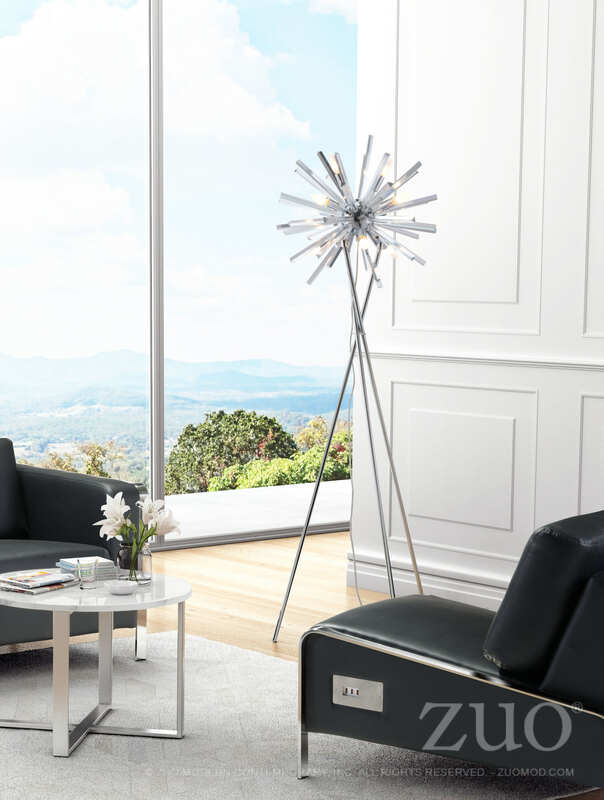 Three intersecting legs in chrome metal create an airy sculptural base to support and highlight the celestial light source. Bright chrome finish and stunning acrylic rays make it shine bright.